Disclosure: This post may contain affiliate links. At no extra cost to you, writers like me earn a small referral fee if you click a link and make a purchase. There are an overwhelming assortment of live shows in Chicago between November and December. Narrowing down holiday show choices, you can find anything from traditional options like Joffrey Ballet’s “The Nutcracker” to more contemporary shows like “How The Grinch Stole Christmas” at the Chicago Theater and for a unique take on “A Christmas Carol,” there’s “Q Brothers Christmas Carol.” It’s a hip hop take on the Charles Dickens’ tale at the Chicago Shakespeare Theater. Here’s a sampling of holiday shows on Chicago stages, just in November 2018. And I’m just throwing it out there, because it’s on my all-time big bucket list – “Hamilton” is at the CIBC Theater for an open run. Just sayin’. I’d go in a heartbeat. 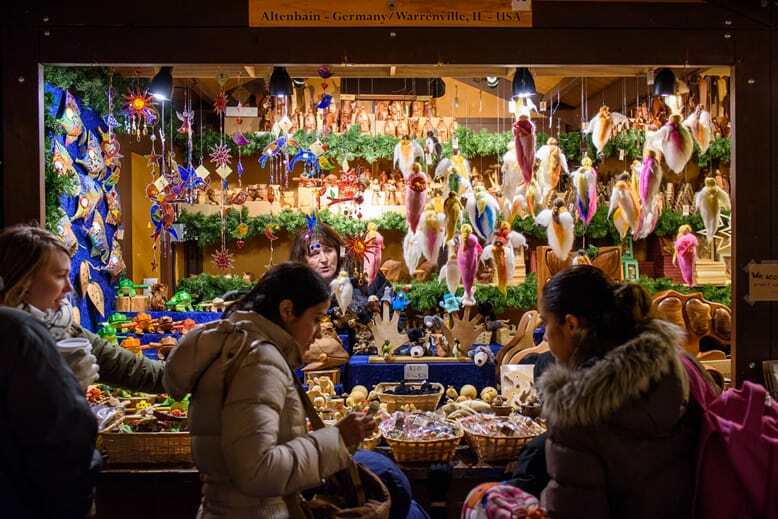 Christkindlmarket is an open air holiday market in the heart of downtown Chicago. It’s modeled after German Christmas markets and looks completely charming. While browsing vendors, I envision myself warming up with some Gluhwein. I’ve heard the Snow Balls (donuts) at Christkindlmarket are tasty and pair well with the Gluhwein, too. I’m missing this parade this year, but since the Magnificent Mile Lights Festival is said to be to be the largest holiday celebration in the country, I’ve got to add it to my bucket list. This annual event is held the weekend before Thanksgiving, and includes a popular parade. Here’s another annual event that sounds like fun, especially for my little ones, but just isn’t timing out to coincide with my visit. Winter Wonderfest is an annual event at Navy Pier is held in December and features bounces houses, slide, carousel and all the typical outdoor things brought indoors. 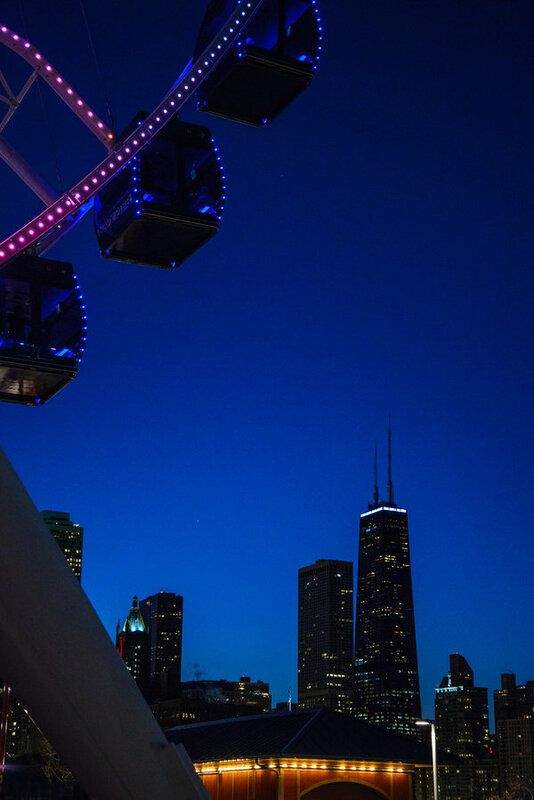 I bet we’ll still go to Navy Pier this November to ride the ferris wheel and maybe take a walking food tour. OK, technically this is outside of the city, but I hear “Illumination: Tree Lights at The Morton Arboretum” is worth the drive. This annual holiday event at Morton Arboretum features an illuminated path of trees programmed with lights, video and audio. Chicago will be my kids’ first encounter with legit skyscrapers. I can’t wait to take them to one of the tourist spots to get a bird’s-eye view of the city. 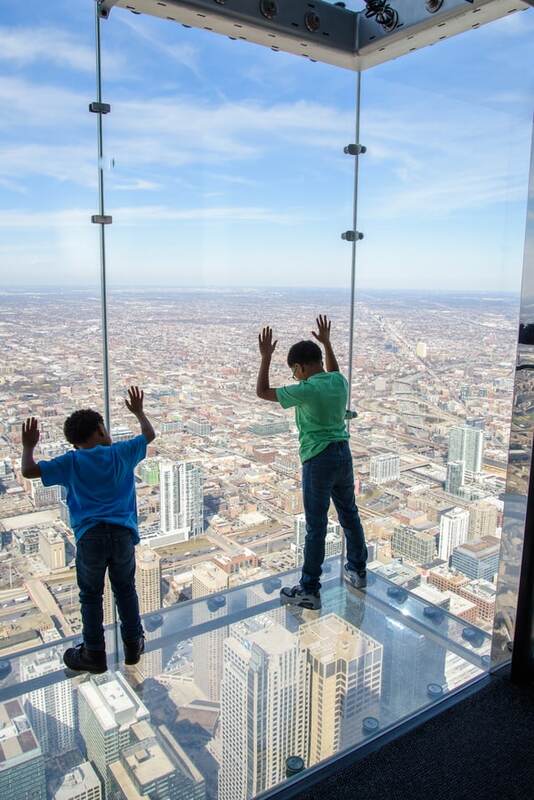 If we’re feeling daring, there’s the TILT experience and viewing the city from Hancock Tower’s Observation Deck or The Ledge experience at the Skydeck at Willis Tower. 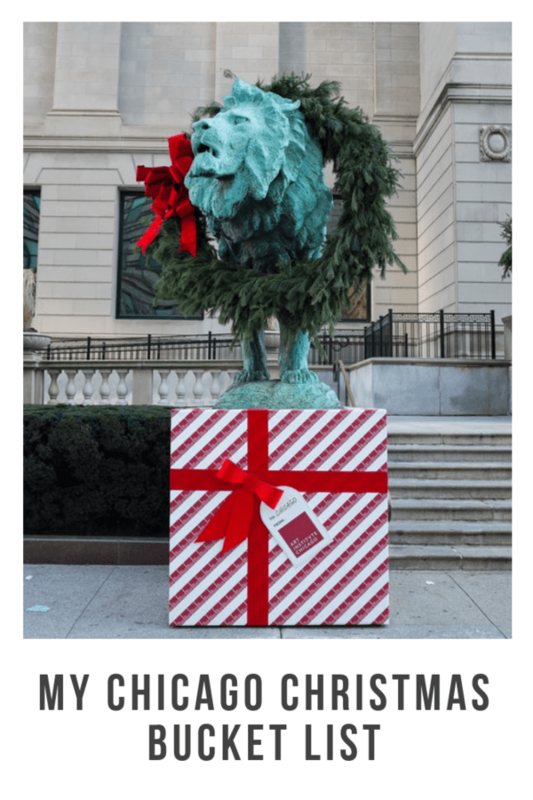 Wish we were in Chicago in December so we could attend the annual Holiday Treasure Hunt and Tea Party at Art Institute of Chicago. This year, it’s on Sunday, Dec. 9. 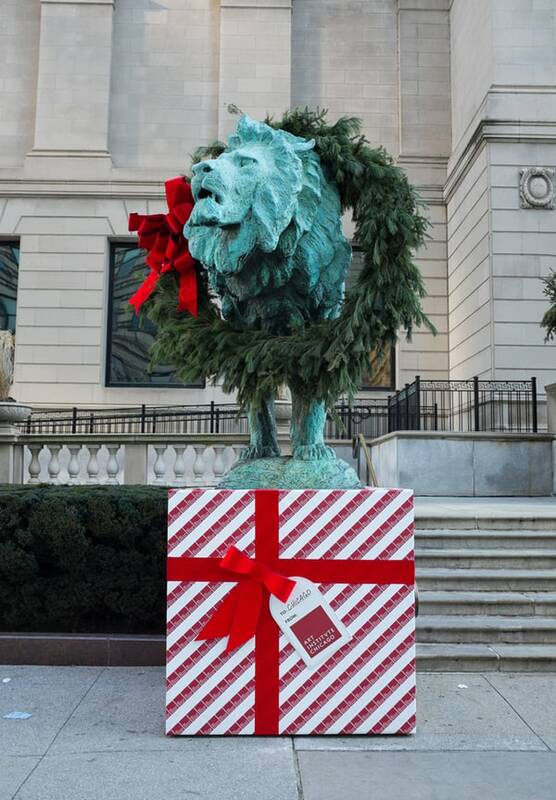 We’re also missing the annual Hanging the Wreaths on the Lions there (it’s earlier in November). I’m OK going to the museum without the additional holiday event crowds, though. I’ve never been there, and it’s been named the No. 1 museum in the world so I’d better fix that. While researching dinging options, some restaurants in Chicago stood out for making dining between Thanksgiving and Christmas a special occasion, if only for unique decorations. First on the list is The Walnut Room at Macy’s, which was the first restaurant in a department store ever opening in 1905. Word is, at Christmas time, there is a 45-foot-tall tree, which sparkles with 3,000 ornaments and 6,000 LED lights, in the dining room. A bit more casual is Butch McGuire’s, a bar that goes all out for Christmas with thousands of lights and a double-decker model train. The Local Tourist says children are welcome for lunch and brunch. OK, this is not holiday related, but my kids are at an age when a visit to SafeHouse Chicago sounds so perfect, it has to happen when we’re there. SafeHouse is often described as a spy-themed bar and club, but if you go during the day, you can dine at a restaurant that sounds surprisingly family-friendly (at least, that’s what it sounded like to me on this post on The Beckham Project). My kids’ imaginations will have a field day at this place. How could I not when the stores will be decorated for Christmas shoppers? I hear Macy’s has a good display each year. 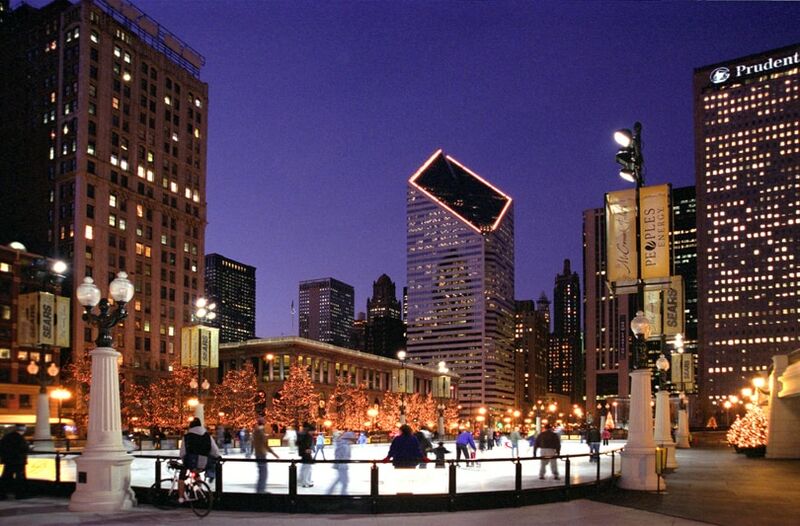 One of my friends who lived in Chicago for years recommended two different places to ice skate: McCormick Tribune Ice Rink in Millennium Park, with its iconic skyline views, and Skating Ribbon at Maggie Daly Park, which breaks the mold of the typical oval ice rink. Rumor has it there may be a special Skate With Santa event. I’m crossing my fingers for an unusually warm winter day so we can visit. What’s the best drink for the holidays? Hot chocolate. Xoco has a churros and a spicy hot chocolate that are calling to me, but there are so many places to try, from Mindy’s HotChocolate to the over-the-top “hotter chocolate” creations at BomboBar. Why stop with hot chocolate? Chocolate at the Pen is a chocolate bar at the Peninsula Hotel held every Friday and Saturday night and it is the stuff I’ve been dreaming about. Also, word is there’s a Nutella bar at Eataly (in addition to a ton of Italian food that’s rumored to be stunningly good). 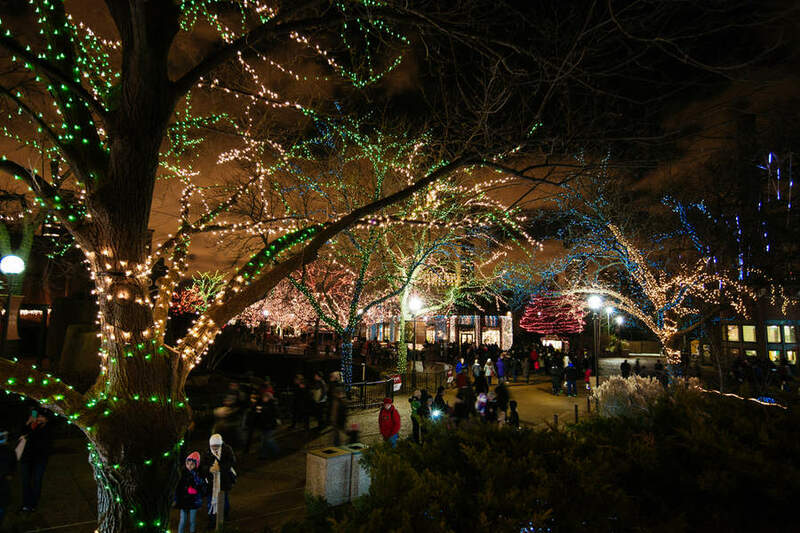 Winter isn’t typically the most popular time to visit a zoo, but I bet things get a little busy at ZooLights at Lincoln Park Zoo. It’s been running for 24 years. 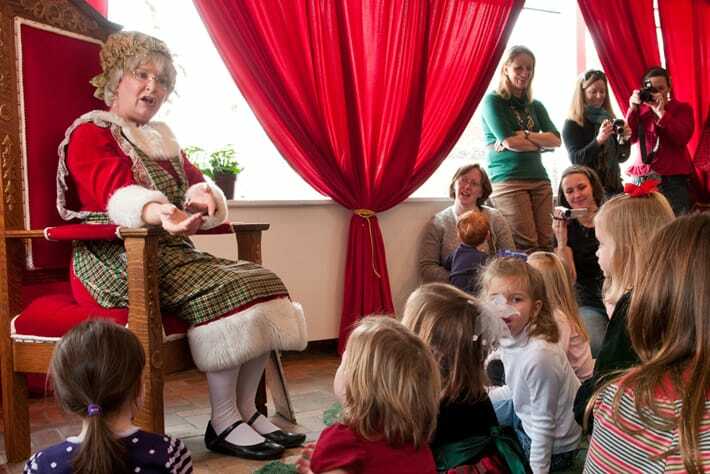 This evening event is FREE (just like the zoo itself), and I hear Santa waits for kids at the Kovler Lion House. My question – how many animals do we actually see at ZooLights? Conservatories and indoor gardens are my favorite in the winter – they’re like a little oasis in the cold. 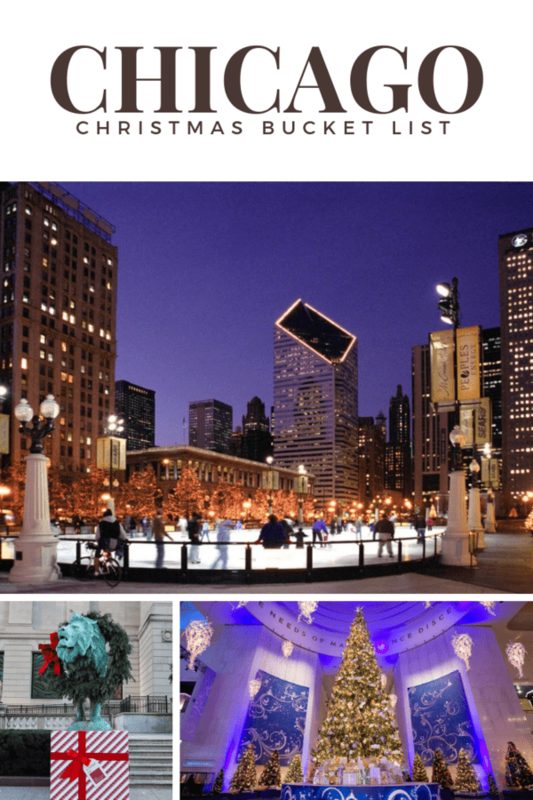 Two places in Chicago have holiday displays to visit. Wonderland Express at Chicago Botanic Gardens features miniature trains, indoor snow and beautiful gardens from mid-November to early January. Garfield Conservatory has its annual Holiday Show from mid-November to early January, too, and this one has a bonus of being FREE. How special is this? There’s The Polar Express Train Ride in Chicago. I’m visiting Chicago a little too early to do this one, though. It’s an Amtrack event from Chicago Union Station Nov. 30 through Jan. 1. Best part? You can wear PJs. I’ve written about reciprocal membership perks, which you’ll want to read here. My Omaha Children’s Museum membership gets us FREE admission into quite a few Chicago museums. Two are on my list to visit: The Field Museum and the Museum of Science + Technology. 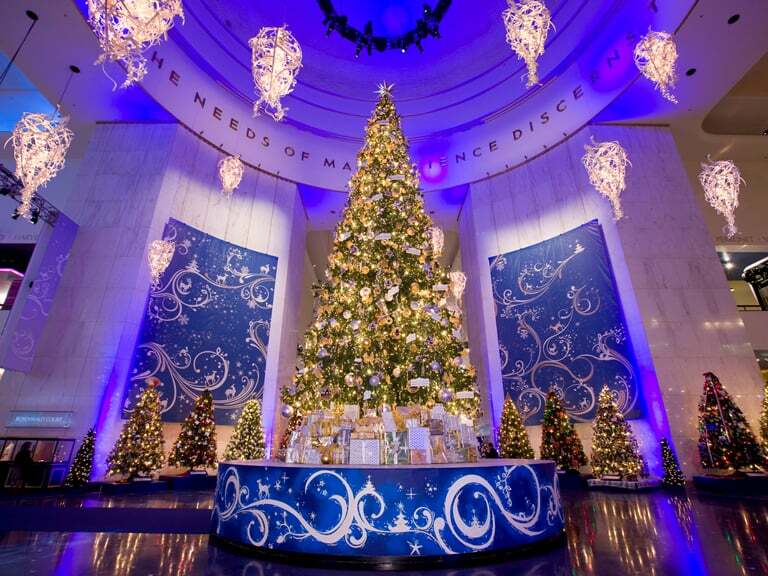 One reason I want to go to Museum of Science + Technology this particular time of year is that there’s the annual display called “Christmas Around the World and Holidays of Light.” This year, it runs Nov. 15 through Jan. 6, 2019. 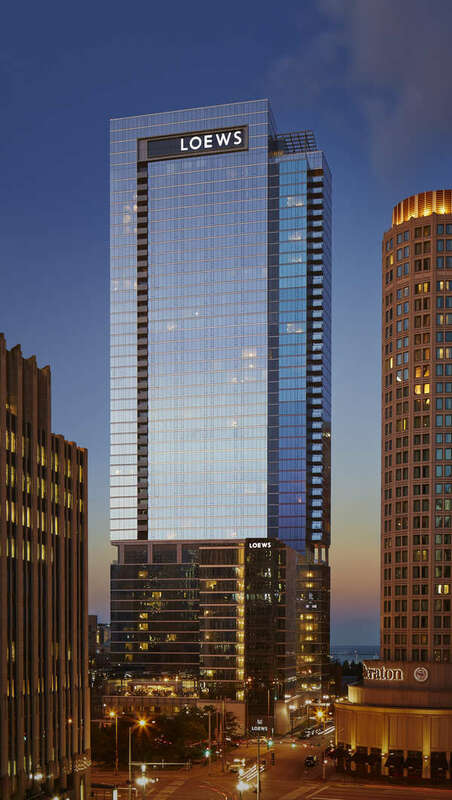 I’ve been looking into Chicago hotels that cater to families and Loews Chicago might win for my favorite holiday/winter package: Each year, they have a “Snowed Inn” themed package that includes hot cocoa & cookies, an in-room movie, and a tent set up with a little kids campfire – PLUS, for the parents, valet parking. This year, they’re also adding passes to ride the Centennial Ferris Wheel for those who book on select weekends. The location can be beat, either, when it comes to seeing the most popular Christmas sights in the city. I’ll be staying there during our stay! Read reviews and book a stay through TripAdviser! Santa HQ, presented by HGTV, at Fashion Outlets of Chicago sounds like a high tech experience that elevates a simple visit to see Santa. It involves iPads and apps and some nifty machines that calculates how naughty or nice you’ve been. Maybe seeing a beluga isn’t exactly holiday related but no Chicago bucket list is complete without mentioning Shedd Aquarium. When I read about some of their animal encounters, like one with a beluga, I knew I needed to add it to my bucket list. 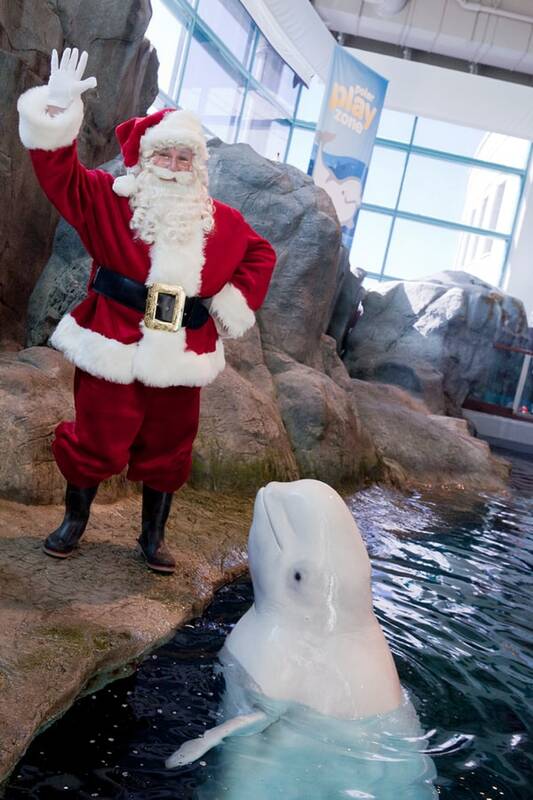 Alas, the age requirement is 12 and older, so it would just be me and the beluga, my kids would just have to watch. 🙂 They can, however, join me for a penguin encounter. Fun! Check back later this year for a details on our trip and see how many of these items we checked off! Do it! Get some snacks for the drive home. Christmas in Chicago is magical.